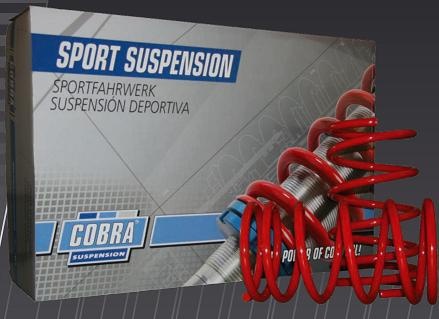 Cobra Springs gives improved handling in fast cornering, acceleration and breaking. The progressive coiling gives an excellent low speed comfort. Cobra Springs offer a customized extra lowering for your needs. These springs are ISO 9000 / TUV / GOCA certified / approved. They are made from Chrome-Silicon Steel and are coated in Phosphate and Epoxy.